Guess what, the incident was a hoax, it was fake news. 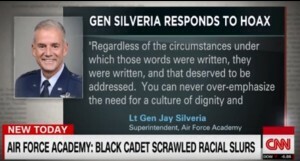 CNN admitted on Thursday the the much reported Air Force hate crime was a hoax by a black student at the academy. Imagine that? 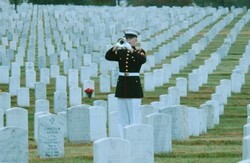 So sorry the liberal media had to eat crow once again. Racial slurs posted outside the dorm rooms of five black students at the Air Force Academy were written by one of those students, the school said Tuesday. The announcement was a jarring turn in an episode that prompted the academy’s superintendent to warn students that racists were not welcome at the school — a speech that attracted nationwide attention. The student is no longer at the school, the academy said. A spokesman declined to say whether the student withdrew or was expelled, citing privacy laws. The student’s name wasn’t released. 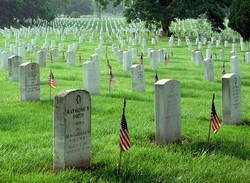 However, what is mystifying is the actions by the Air Force General after knowing that the slurs were a hoax. He still went along with his previous comments. Puzzling indeed … For the record– Air Force Social Justice Warrior, General Silveria, stands by his earlier lecture. Huh? 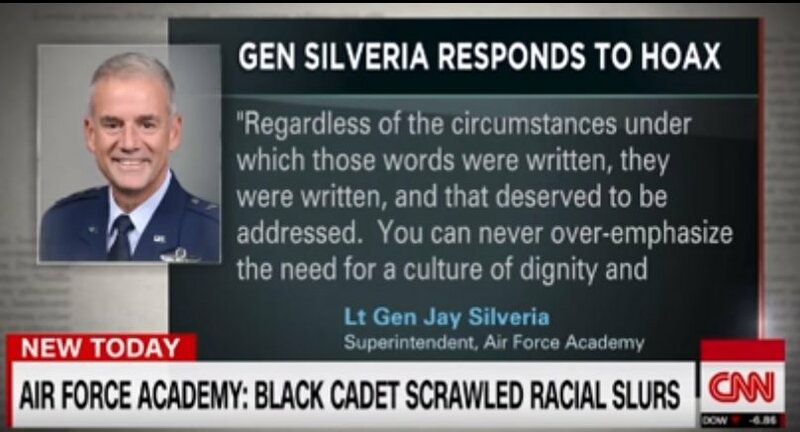 Well no duh racial slurs are repugnant sir, but there were none legitimately done at the Air Force Academy. It was a hoax.